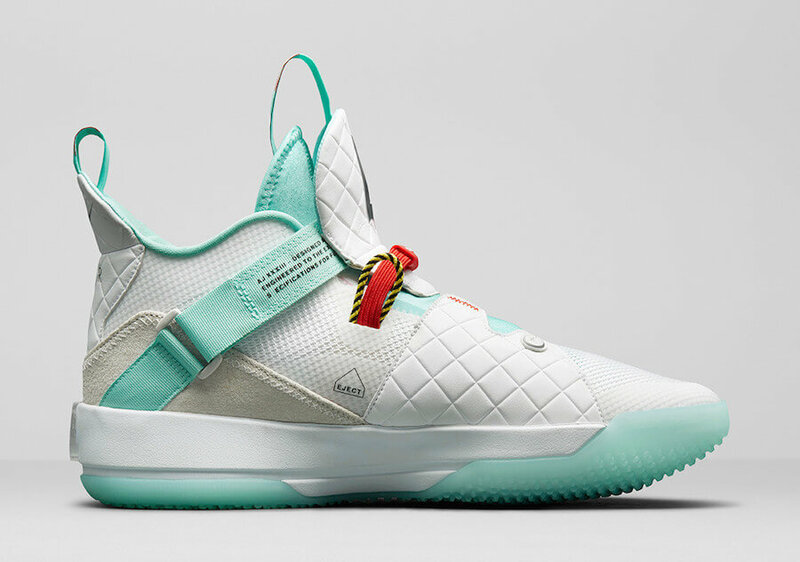 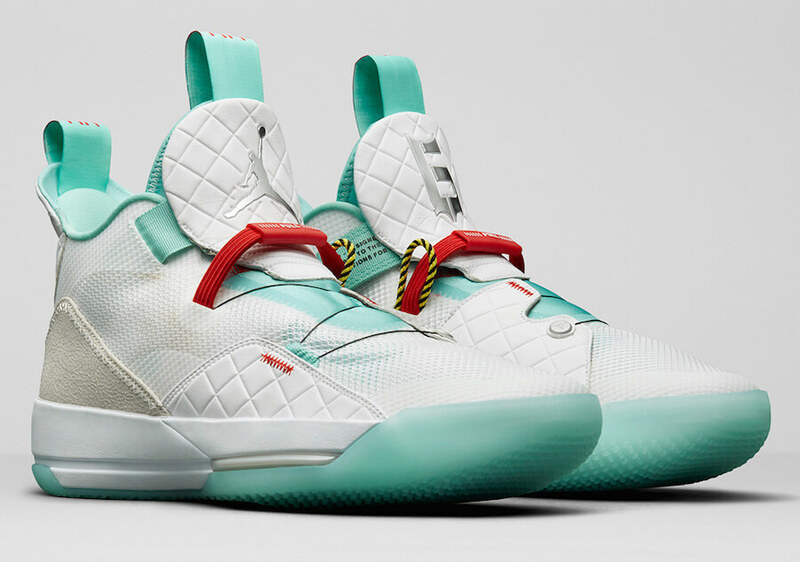 While expanding the upcoming Holiday collection of 2018, Jordan Brand will be releasing a Player exclusive Air Jordan 33 iteration that nods to the Chinese basketball player Guo Ailun. 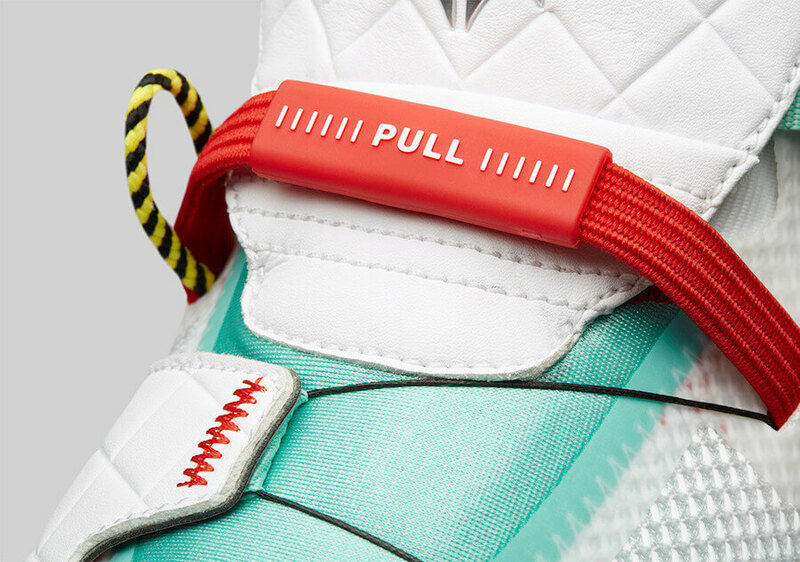 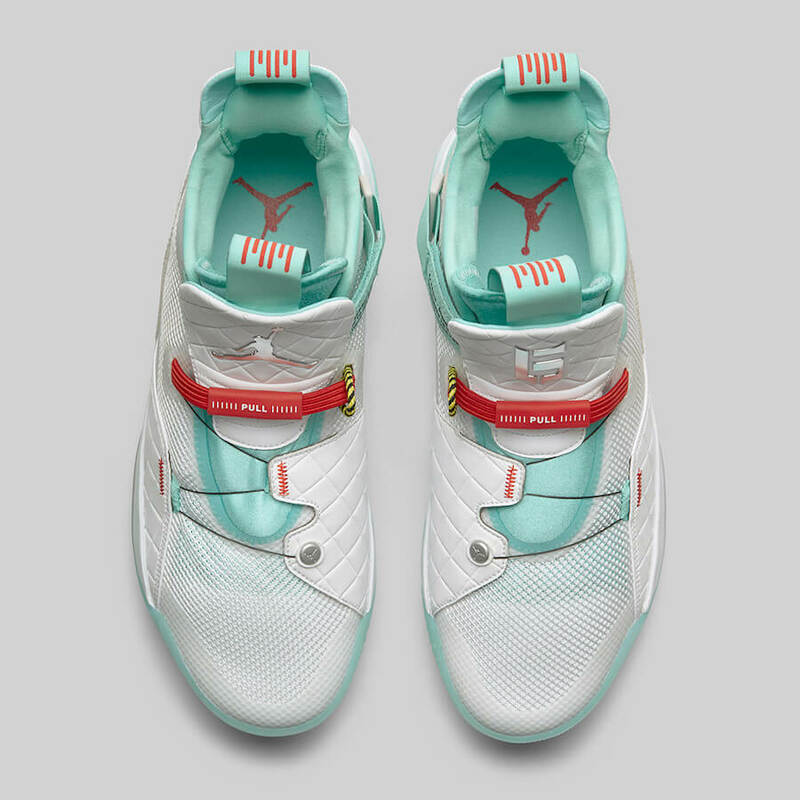 Dressed in a Jade-inspired colorway, this particular Air Jordan XXXIII comes enhanced with the player’s own logo placed on the left tongue. 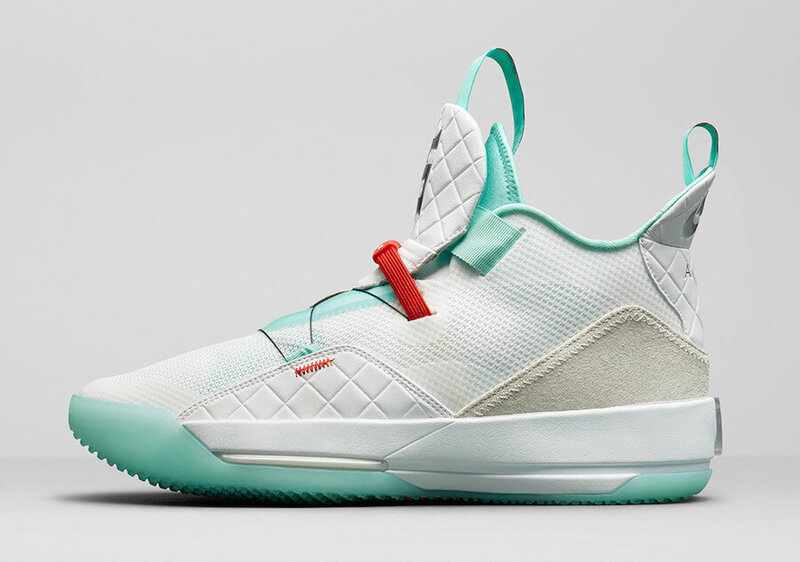 The shoe has been further complemented with contrasting Red accents and a White detailed Upper. 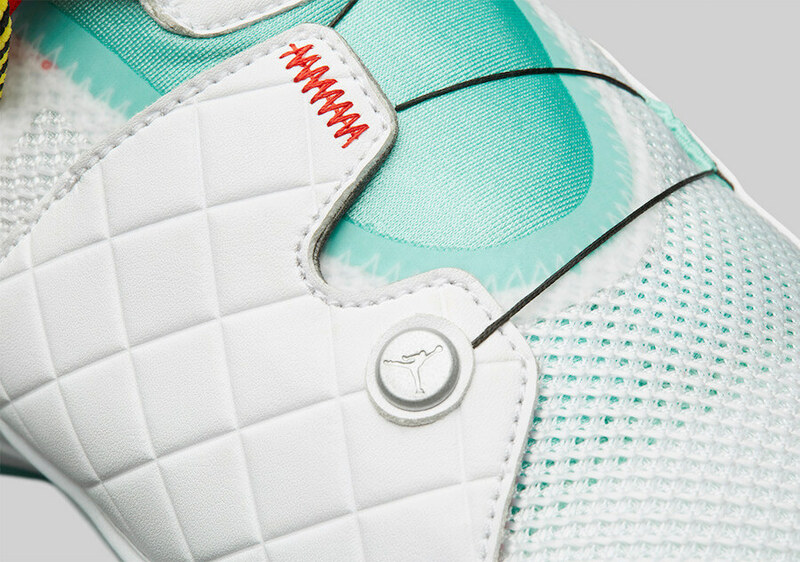 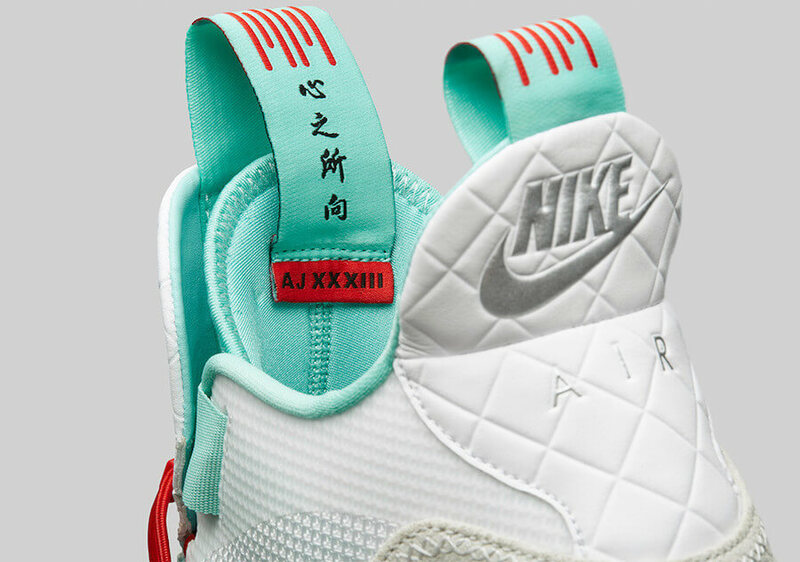 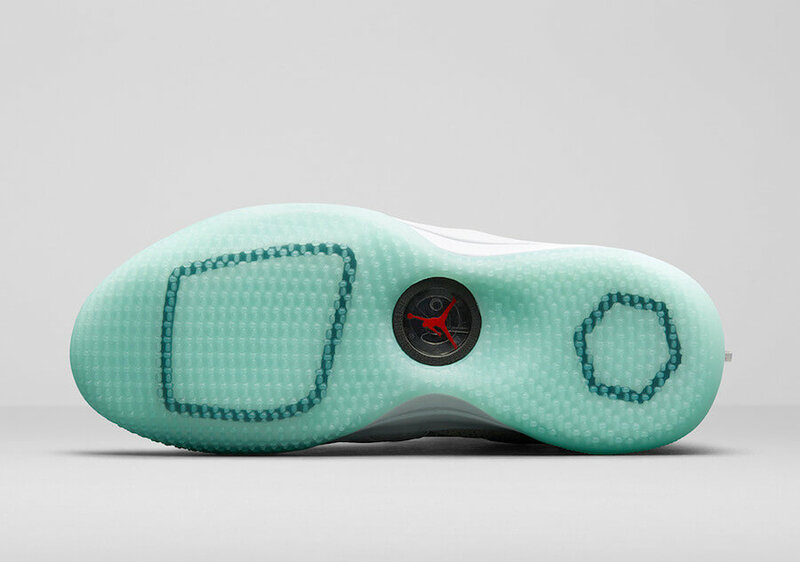 Other details include Nike Air placed on the heels followed by a Jade translucent outsole that wraps up the design altogether. 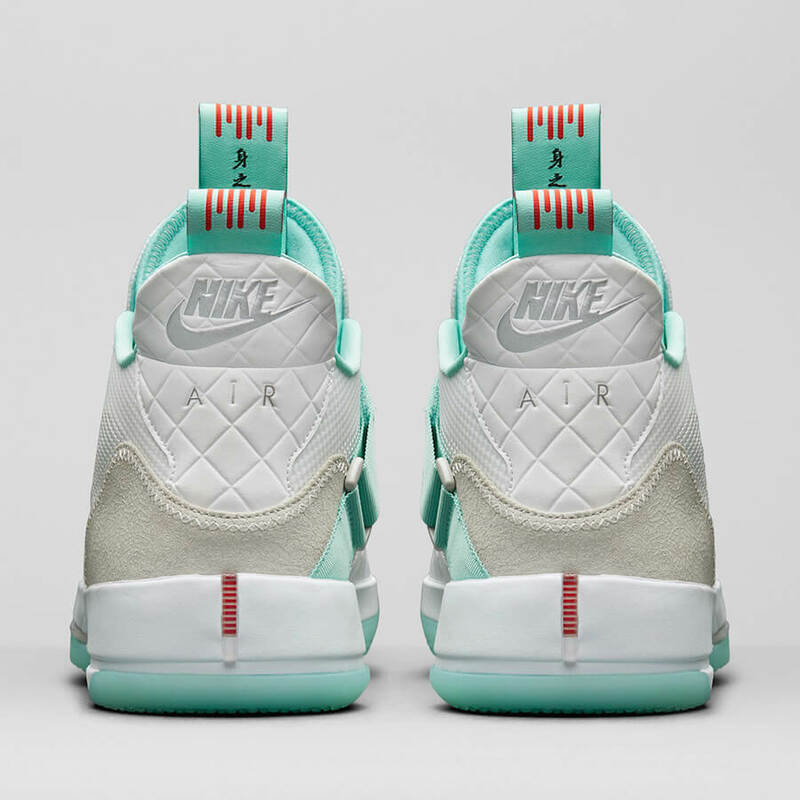 Retailing for $175, check out more detailed images below and one can only purchase a pair in Greater China during this holiday season at any select Jordan retailers.